Have you noticed most stores are pretty much skipping thanksgiving décor and going straight to Christmas everything? Well I have! And while I’m all for Christmas décor, (it is one of my favorite holidays to decorate for) it kind of seems that Thanksgiving gets the short end of the décor stick. This week I am sharing with you an inspiration board for your thanksgiving 2013 table. 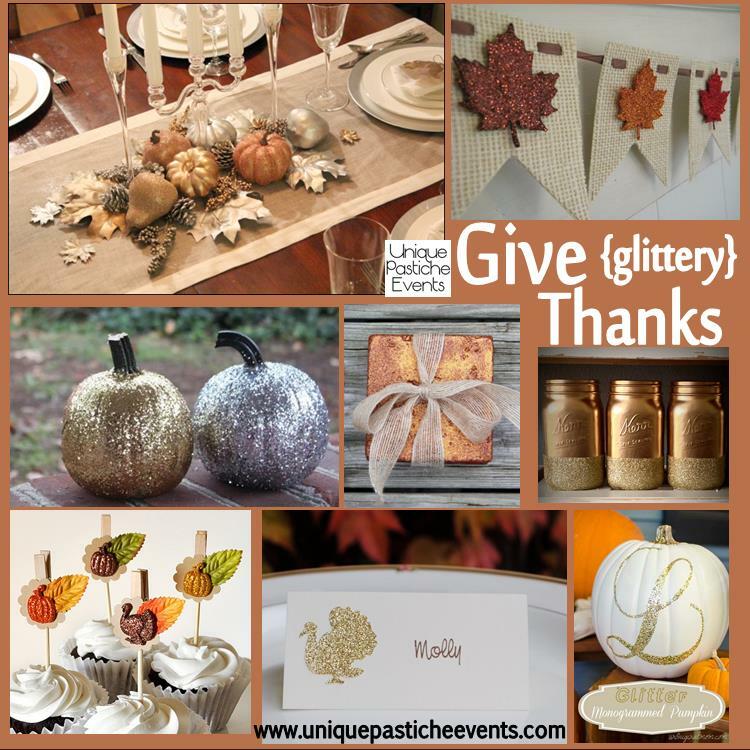 I’m obviously a huge fan of glitter anything, but I really love the idea of having a sparkly thanksgiving table. While the traditional orange and tan and yellows are great, they can get a little boring year after year. Plus, if you shop smart, you can get a TON of post-Halloween pumpkins and décor super cheap, and glitter them up yourself to save a bundle. Would you mix up your Thanksgiving table one year for a sparkly look like this?